LIBERAL, KS – Once again Southwest Medical Center has added another physician to its growing medical staff – Dr. 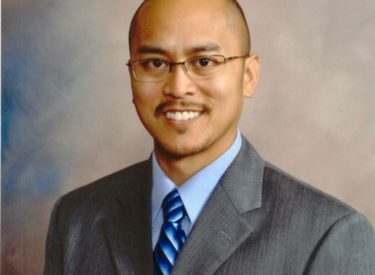 Troy M. Taduran, D.O. Although he has lived in many other parts of the country, Taduran considers himself a Kansan ?? and rightly so. He grew up in Southwest Kansas in the rural community of Satanta and he attended high school in Hays at Thomas More Prep ?? Marian High.
? ?It feels great to come back home to Southwest Kansas. There really is something to be said about the hospitality of people in the midwest. ? With family still in this area, Taduran has truly ? ?come back home ? . His father, Virgilio Taduran, M.D., who specializes in internal medicine, is also on staff at Southwest Medical Center. Taduran is opening a new Sports Medicine and NMM/OMM practice in Liberal alongside his father ? ?s practice, at 102 E. 11th in Liberal.
? ?I am focused on the care of athletes at all levels (including recreational athletes) and their injuries, ? he said. ? ?And my goal is to be a prominent figure in the care of the athletes at Seward County Community College and Liberal High School. I also welcome athletes from the many surrounding towns and cities. ? Taduran is a firm believer in Osteopathic Manipulative Medicine and the power of the human body to heal itself.
? ?In addition to applying my skills with Osteopathic Manipulative Treatment (OMT) to athletes, I also see patients for non-pharmacological treatment of acute and chronic pain, ? Taduran said. ? ?I utilize many treatment modalities including OMM, postural studies and heel lift therapy, triggerpoint injections, joint injections, Western acupuncture, and prolotherapy. ? Taduran says he takes care of many different conditions including, but not limited to sports injuries, musculoskeletal injuries, muscle strains, ligament sprains, shoulder pain, knee pain, neck pain, back pain, hip pain, foot pain, ankle pain, and headaches. When he is not at work, Taduran enjoys spending time with his wife, Jennifer and their daughter, Tala. He is a sports enthusiast and enjoys watching all sports, particularly football, basketball, and baseball. He enjoys working out, softball, basketball, golf, running, boating, and skiing. Taduran obtained his Bachelor of Arts from The University of Kansas in 2001. He received his medical degree at Kansas City University of Medicine and Biosciences – College of Osteopathic Medicine in Kansas City, MO in 2005. Taduran Sports Medicine and Osteopathic Wellness Center is now open. Please call 620-626-5006 for an appointment and visit Dr. Taduran ? ?s website at www.taduransportsmedicine.com for more information.